Join 180,000+ users changing the way they collect data with QuickTapSurvey. Gathering and acting on customer feedback is important to the success of any business. QuickTapSurvey’s customer feedback system allows you to build and launch customer feedback surveys and analyze your results to provide fast and actionable insights. The second busiest airport in North America, the Toronto Pearson Airport handles over 44 million passengers a year, with over 1,180 planes taking off and landing every day. In 2017 the Canadian Air Transport Authority installed more extensive security screening procedures, impacting the experience of thousands of passengers per day. With the goal to improve passenger experience in the wake of these changes, the Greater Toronto Airports Authority (GTAA) was looking for a solution to capture and monitor long-term passenger sentiment. They found that solution with QuickTapSurvey! Using our product GTAA has collected over 55,000 survey within the first year alone. 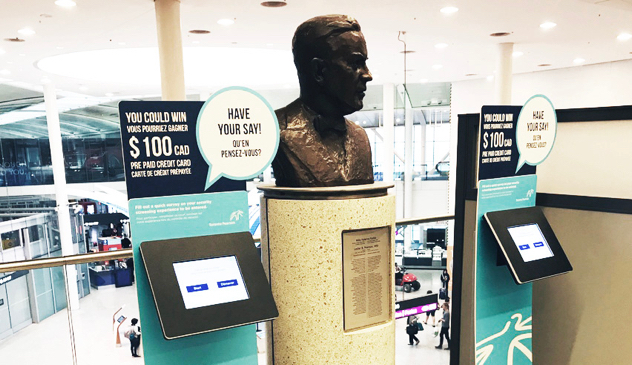 The airport currently has 17 satisfaction kiosks operating across their facilities and are monitoring the results of these surveys to determine their next steps in increasing passenger satisfaction. At QuickTapSurvey your success is our success! Having a fast and easy lead capture process is vital to building relationships with your customers and nurturing them through your marketing funnel. Use our lead capture solution to build and launch beautiful and usable lead forms and surveys in minutes. 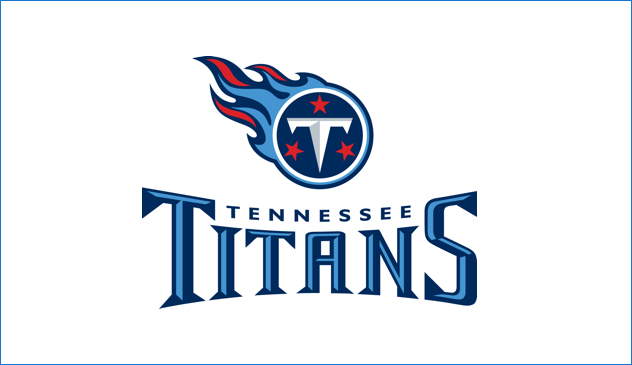 The Tennessee Titans are an American football team from Nashville, Tennessee. They compete in the National Football League (NFL) and are a member of the American Football Conference. The Titans were looking for a simple and effective lead capture solution for home games that could help them attract fans with contests and giveaways and grow their sales nurture campaign. QuickTapSurvey’s lead capture solution helped the Titans drive fan engagement, grow the brand and increase their season ticket holders roster. In less than 30 seconds the Titans could gather important lead information from each respondent, including name, email address and email opt-in. By making the switch from paper and pencil surveys to QuickTapSurvey, the Tennessee Titans were able to decrease their post-event follow up campaigns from 3 weeks to 24 hours. They also increased lead follow-up rates by 50%! No matter the scope and subject of the research you are conducting, QuickTapSurvey’s research system allows you to build and launch comprehensive research surveys and form, analyze your response data, and take action with your insights. The Nature Conservancy is a non-profit environmental organization that seeks to “conserve the lands and waters on which all life depends”. 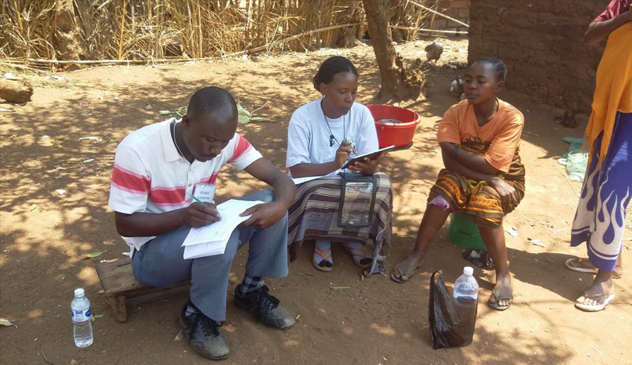 Craig Lesher and his team from the Nature Conservancy were conducting research with local populations in Mahale Mountain National Park in Tanzania and needed an offline digital data capture solution that would work in remote locations with no infrastructure. They found the right tool in quicktapsurvey. Craig Lesher and his team from The Nature Conservancy appreciated that QuickTapSurvey can be used anywhere, the learning curve was short, the interface was easy to use and their data could be encrypted. They were able to successfully use solar panels and a satellite phone in tandem with our application to collect data from survey respondents. If you’re looking for a usable and adaptable audit or inspection solution, QuickTapSurvey’s unique system will allow you to build your own mobile form or survey, collect data (even offline) and create professional analytics reports to take action with your results. Air Canada Rouge is a Canadian leisure airline that offers flights to over five continents around the world. Air Canada Rouge needed a modern and efficient way to measure procedural compliance within their team. Using QuickTapSurvey they were able to create detailed inspections checklists and equip senior staff with tablets to monitor the performance of their teams. They then collected compliance data offline in-flight and transmitted the data they had collected for review upon landing. They were looking for a high tech tool that did not require an internet connection, and they found that tool with QuickTapSurvey. 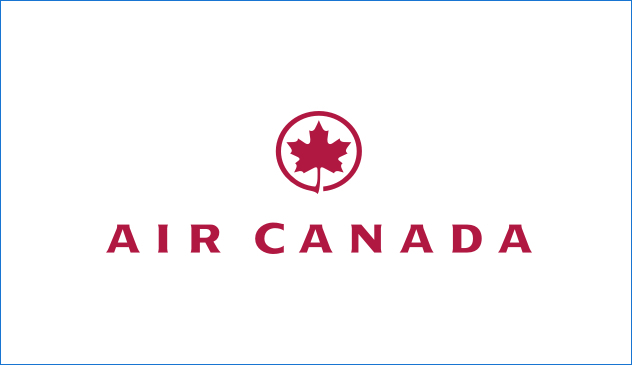 Using our application, Air Canada Rouge was able to more effectively conduct in-flight inspections. Since implementation they have successfully reached over 95% staff procedural compliance!